The OCR was less than perfect but I got this. The total number of teams is 193, and 124 young people aged 35 and below, with a ratio of 65%. The military engine developed by the team is a weapon against foreign advanced fighters. It maintains national sovereignty and safeguards national security. Represents the highest level of the country's aviation engine, which has been included in China's "aviation engine and gas turbine" top best. Only one year to complete the engine design in the elbow, to achieve the "zero" breakthrough; only half a year to complete the first engine test verification, to achieve domestic engine test efficiency and success rate breakthrough; the engine manufacturing cycle has been shortened by 2/3, to achieve a breakthrough in the domestic engine manufacturing cycle. From the English-language sources that I'm following, it is more than likely that this is the WS-19. Could someone translate the blurb of text I've posted below? If this turns out to be the WS-19 prototype, then it would corroborate very well with PB19980515's rumor that the engine has already passed the prototyping stage. It doesn't look like any of the known WS-10 variants. Definitely not the TVC version installed on J-10, or the one fitted onto that J-20 prototype. So WS-19 is probable. Too bad the photo doesn't give a good idea of the size of the turbofan. 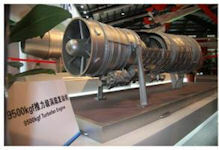 First photo of WS-19 turbofan engine can be seen here, the woman on left is the chief designer Huang weina. Benefitted from the design and materials of WS-15 engine, it only took one year to complete the design, took half a year to complete the experimental verification of 1st engine, took one third the time of engine manufacturing compared with before. Figaro, by78, KIENCHIN and 4 others like this. This sounds a lot like they’ve hit a critical catch up point, and are far more confident with the technology now. It might also imply future test schedules for new engines will become more compressed. Once you have an engine design team which is experienced enough any successor engines based on the same technology will take a lot less time to develop than the first one. It is still unknown to me which technologies this engine uses though. The Russians for example are only now working on composite fan blades & case, Ceramic Matrix Composites, C/SiC ball bearings and joints, etc on the PD-35 engine for the CRAIC CR929. AFAIK China should be more advanced in the R&D of high-temperature CMC materials. Traditionally Russia has had more of an advantage in metallurgy than composites. While Japan is the opposite having more know-how of composites. China seems to have a good handle on both technologies. It's all guess work which tech is being worked on and how far it is . I have an uncle in the China tank industry but he doesn't know much about the air force stuff. At the 2018 Zhuhai Air Show, the big vector engine is not only the one that is equipped on the J-10B, but also a quietly lying on the stand, proclaiming China's second stealth fighter – J-31 will soon have a domestic turubofan engine; this engine is the turbofan 19 Huangshan medium thrust engine that had only appeared in rumors in the past two years. For a double-engine medium-sized fighter, the thrust and fuel consumption of the large thrust engine are too large, wasteful money, and poor cost-effectiveness; the most efficient method is to install two medium-thrust engines, and the WS19 is such an engine. 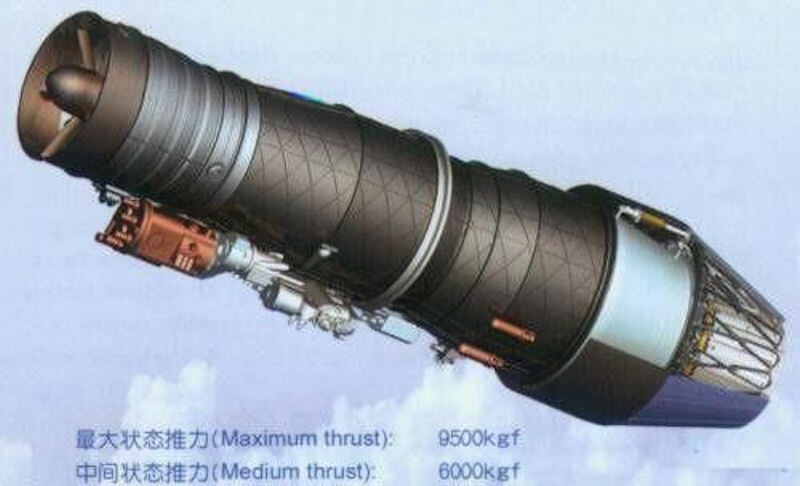 China Aviation Industry Corporation had previously disclosed a vector engine with a maximum thrust of 9800Kgf. This engine is considered by the outside world to be the WS-19 "Huangshan" engine matched with FC-31. This project has produced and successfully completed the development of QC185, QC400, GT25000G military ship-borne turbine shaft blades, WS18, WS19 turbofan engine shaft blade development, 624 AT project drones and other models to attack the mission. In mid-2017, China Aviation Industry Corporation first published an engine model called "Turbofan-19" (WS-19) for a summary of the results of the "Shaft-type blade universal combination tester". Some military observers revealed on the Internet that "TurboFan-19" is a long-rumored new Chinese engine. It is similar to the name of "Taihang" and "Emei", and the name of "TurboFan-19" is "Huangshan". The target of the turbofan-19 is the F414 turbofan engine, which is larger than the European EJ200 engine in terms of maximum thrust. Before the turbofan-19 model was confirmed, the detailed report on China's new medium-thrust turbofan engine was only the "S3-2 type technical verification machine" project. The S3-2 type technical verification machine was a double rotor and afterburner. The turbofan engine with vector nozzle has a maximum state thrust of 9800kgf, and the thrust-to-weight ratio is 9th. The goal is to obtain the national project after the verification technology is up to standard, and become an important member of the domestic engine type spectrum. Aeroengine market demand for medium thrust turbofan engines with vector nozzles. From the performance parameters of the S3-2 type technical verification machine and the performance description of the turbofan-19 "Huangshan" on the Internet, the two are very close. It is possible that the advanced technology development of the S3-2 type technical verification machine has reached the target. After obtaining the approval of the engine model development project, it entered the prototype development stage. At some airshows in China a few years ago, there was an unidentified medium-thrust engine more than once. The maximum afterburning thrust was 9500kgf. In terms of appearance, this engine not only has a structure similar to the Russian RD93. There are also similarities with the European and American F404 and EJ200 engines. However, this engine appeared in the air show, there is no follow-up related information to prove that it uses the official model and name. I would say that the engine is actually quite large, or that Chinese folks are simply too small. Some people are doubting that it's a medium-thrust engine from the size of the nozzles. Could also be a trick of the camera perspective. Second guy in the back from the right looks to be standing below or behind the engine (based on the shadow over his face, but first to the left is clearly standing in front. Given the change in scaling from the right to the left it looks like this picture was taken with a wide angle, and since the nozzle seems to be closer to the camera relative to most of the people in the picture give the angle it’s pointing it will look proportionally bigger than it actually is to other objects. Tirdent and N00813 like this. You're right, I think. The guy in the back row is actually standing behind the engine, as indicated by the shadow of the engine covering his forehead. I think this is the actual WS-19, guys.